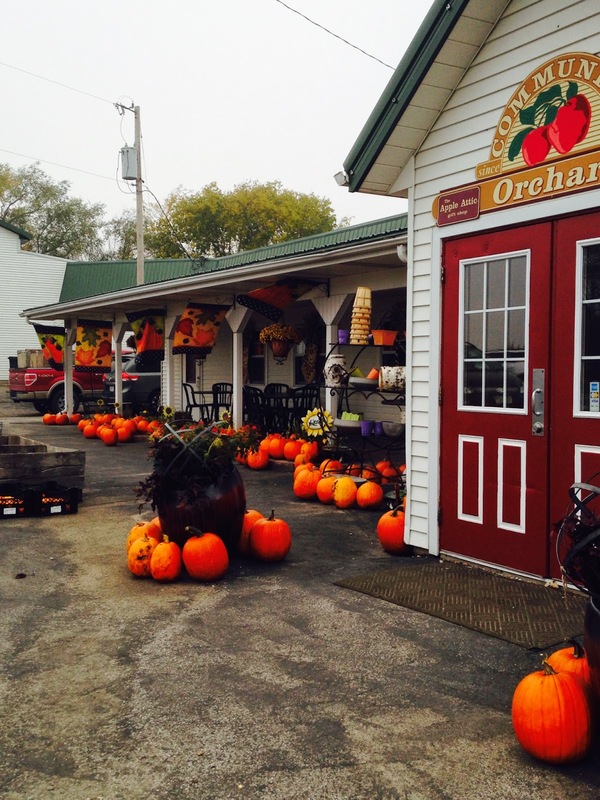 The town where I grew up has an awesome apple orchard. There is a gift shop, restaurant, children’s activities and of course, delicious apples! Each year, my out-of-town siblings and I travel back home for “Scarecrow” soup and warm apple pie with cinnamon ice cream. It is a tradition that we look forward to each fall. My husband and I ventured to the orchard today. It was foggy and cool out. Hardly anyone was in the store and restaurant. We were able to browse the assorted jams, jellies, and other tasty food items without fighting the crowds. There are many wonderful orchards across the country, but I think of this one as being ‘ours.’ It has been the scene of many family gatherings over the years. The sun made an appearance later in the day, so I took my husband to the lake. It’s a small lake with a golf course, located adjacent to it. The same course where I played golf in my high school and college years. The temperature was pleasant in the mid-sixties, and the sun shone brightly. Few people were out and about, although the day was one of the dwindling warm days left before winter blasts us. Children ran down the hill towards the lake while their parents called for them to return to the picnic table. A small boat with some fishermen could be seen slowly moving near the shore. 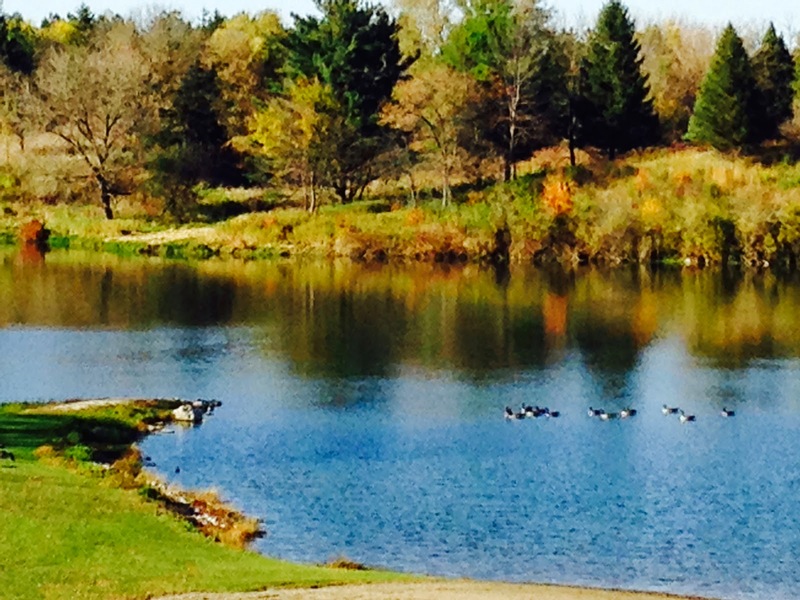 Geese were parading on the beach while others floated on the surface of the lake. Across the way, the Veteran’s Memorial sits high on the hill. I mentally made a note to take my husband there in the future. For me, autumn is a sensory delight. I look forward to the vibrant colors of the turning leaves and the crunch of those same leaves underfoot. I long for the smell of baking pies and the unique scent of firewood burning in the hearth. I can’t wait to dig out my sweaters and soft scarves. The roar of the crowd cheering at the high school football game takes me back to my youth. As I watch the little children running from one home to the next yelling “Trick or Treat,” I see my sons’ joy during those special Halloween nights. Autumn provides not only fond memories but opportunities to create new ones. Lovely story, you made me want to be right there with you! Thanks, Kim! It was a favorite spot for my dad. He isn’t with us any longer but we visit there each year for the Alzheimer’s Walk in his memory.